Nature’s Elementals—Earth, Wind, Fire, and Water—have lived for countless millennia. Disguised as humans, they are charged with one mission: protect the innocent from fallen angel clans, who reap human souls and force them to do their bidding. 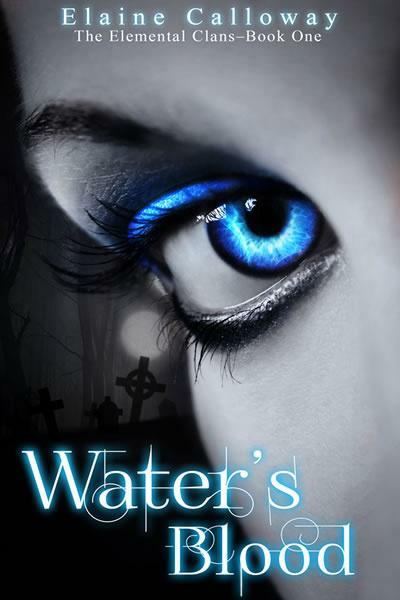 Brooke, a Water Elemental stationed in New Orleans, broke the rules once—she mated with a human. For her indiscretion, she is forbidden to share a life with her loved ones: NOPD officer Alex and their half-breed daughter, Ella. Now Ella is about to turn sixteen, and the local clan of fallen angels is determined to snare her soul by Halloween. Brooke broke the rules once by allowing love to interfere with her mission. Now she and Alex must put consequences aside to break the rules again—if they wish to save their daughter’s soul. Brooke gripped the bar’s wooden edge until her knuckles turned white. Nausea and trepidation washed through her human form. Not now. Please. Not when her New Orleans pub, Armand’s, was filled with Friday night locals. She couldn’t keep walking away from her cover job. And she definitely couldn’t tell her customers the truth. Her mission was critical: protect innocent humans from the Minare, a local clan of Fallen Angels. Who knew dealing with a teenager would be the more difficult job? The nausea grew stronger, churning in the depths of her stomach. For one hopeful moment, she wondered if the Shrimp Creole she’d eaten for lunch could be the culprit. A sense of uneasiness snaked through her veins. No such luck. All signs pointed to the distress call. Images in her line of vision began to spin. Gold, purple, and green Fleur de Lis emblems on the bar walls blurred into a kaleidoscope haze. Oh, yes. She recognized this feeling—the ole Tilt-O-Whirl-from-Hell. She shut her eyes, wanting her equilibrium to stabilize, but the famed Mardi Gras colors danced behind her eyelids. Breathe. She inhaled deep. Beer, tobacco smoke, and lemon polish overpowered her nostrils. The impending doom intensified. Your daughter is in danger. You have to go. Panic churned inside her like a tornado. She’d been afraid this would happen. What was she supposed to do? Family and her mission were mutually exclusive in her world. She couldn’t kick her customers out. Her only option was to leave someone in charge. Someone trustworthy. Perfect. Quinn and his wife had helped her rebuild the pub after Hurricane Katrina. They were good folks, the kind of humans Brooke could trust her customers with. “I’ll hold down the fort. Go do what you need to do.” Quinn strolled behind the bar, his body moving in tune to the Zydeco music coming from the speakers. On any other day, she liked the New Orleans locals and their leisurely way of life. Just not now. She needed to go. “Is everything okay?” he called after her. Not really. She didn’t turn around, only said, “I won’t be gone long, thanks,” and ducked out the back door to avoid further questions. Brooke ran down the crooked sidewalk. Live oaks draped with Spanish moss lined the narrow street filled with shotgun houses. Fortunately, Alex only lived two blocks away. The short walk made it easy to keep watch over him and Ella. Darkness covered the sage-colored home with black shutters, but the full moon’s beams slanted through a rear side window. Brooke crept alongside the long narrow house, which extended back for almost a city block. These old Mid-City homes had more rooms than she could keep up with. Over the years, she’d learned which ones she could easily peer through. Peeking inside, Brooke saw Ella tiptoeing across the study, headed straight for the cabinet. Brooke’s neck went tight. Holy hell, this was no false alarm. Ella was a mere twenty steps away from the cabinet. Or rather, from disaster.